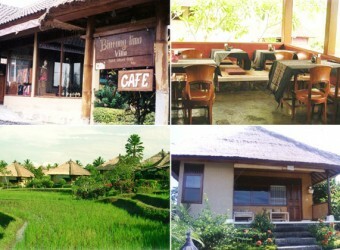 Bali Restaurant Cafe Bintang is a small café that has sensational value located at Villa Bintang in Ubud. This small café is located overlooking rice fields and rural landscape of Ubud. The café offers Japanese food including Kyoto food "Obanzai". Here you can enjoy delicious Japanese food using fresh and pesticide free vegetables while viewing Balinese rural landscape.